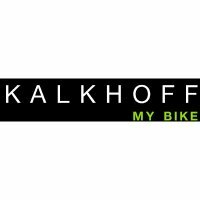 New for 2019 Kalkhoff have brought another big name to the party, the Shimano Steps drive systems arguably the smoothest drive system within e-bikes! This Endeavour features the new E7000 Shimano Steps drive system! Enclosing the battery inside the downtube creates such a normal-looking bike, there's a good chance that cyclists you overtake won't even realise you're riding with the assistance of an Shimano Steps E7000 series, 36V / 250 W motor. YThe Bluetooth module enables communication between the e-bike and your smartphone.